There are many significant milestones in all of our lives. I attending Milton Hershey School for Boys in the late 1950s and early 60s, graduated from high school and college, received my draft notice in 1968, joined the U.S. Air Force, married my high school sweetheart, landed my first government job with the Department of Defense and later with the Federal Aviation Administration, raised two exemplary children, established my business in 1985, retired from government service, our grandchildren, and I could go on and on. Life is full of milestones and it isn’t so much getting to one, it’s what you do after you reach your sought after goals that really count. A milestone is defined as a significant event in life, progress, or development. A good number of those reading my column have attained many of these same milestones and others are anticipating much of what we have achieved, especially retirement. Sometimes… most of the time, a major milestone achievement leads to bigger and better things. For example, marriage and raising a family. If all goes well a married couple ends up spending the rest of their life together, experiencing the trials and tribulations of relationships, raising children, navigating the good and bad times, and spoiling their grandchildren. 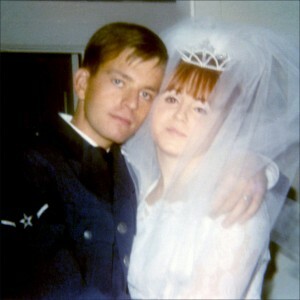 My wife and I will celebrate our 49th anniversary this November. Unfortunately things don’t always go as planned. A divorce can change everything and at least for a while make life miserable until you cope with the separation and move on. If you have young children tact and diplomacy is essential when dealing with custody issues and interacting with your ex spouse over school functions, vacations, and many other situations. However, you too can still move on to bigger and better things. A better relationship with a new partner and less drama in your life. A promotion is both a blessing and a curse for some. Supervisory promotions offer higher pay and at the same time increase our responsibilities taking time and attention away from family and other pursuits. Plus you have to deal with personalities that can be challenging and frustrating for even the best prepared. In my early 20s I was at a crossroad after being discharged from active duty and working as an avionics technician with the Air National Guard. I was looking at both private sector jobs with U.S. Air and at a government job with the Federal Aviation Administration. After talking with both and doing some research I told my wife that if I continued to work in government I could retire at age 55 with a great pension and my military time counted towards retirement! She still recalls that discussion all these years later. Had I went with U.S. Air I would have been laid off, they closed their maintenance hub in Pittsburgh and consolidated with another airline. Milestones are simply a destination and what we do when we get there determines the outcome. Many contemplate retirement long before they are eligible and it is one of the significant events in our lives. Retirement isn’t a final destination it’s a new frontier for all to explore and make it theirs. I retired at age 55 from federal service and 14 years later I’m still looking forward to new exploits, managing my business, playing with our grandchildren and enjoying life. Federal employees are fortunate to have a generous pension, 401K plan, and Social Security for most employees. There are still a few employees, less than 2% of the total workforce, covered under the soon to be phased out Civil Service Retirement System (CSRS). The CSRS fixed annuity is higher than the newer FERS retirement system however many of the CSRS employees generally won’t collect Social Security because they didn’t work and pay into the Social Security System for a full 40 quarters. No matter what plan you retire under you have options and opportunities if you prepare for life after work. When you reach your retirement milestone will you be prepared? I starting planning my retirement at age 25 when my wife and I discussed which employment option I should pursue. It is never too early or too late to start your plan however I do suggest start planning your exit long before you walk out the door. It’s not wise to leave your future to chance and those who want a truly enjoyable retirement will need the resources and resolve to make it happen.